Having a driveway gate opener is the key to ease. Having a driveway gate opener will help prevent procrastination of your time since you will now have an automatic mechanism to open your gate for you. Having a driveway gate opener is an upgrade from how you use to use your driveway gate. A driveway gate opener will definitely help you out in the long run because now you will not have to manually close/open your driveway gate, with the driveway gate opener you will be able to leave without a worry. Now that you understand what power comes from having a driveway gate opener, it is now up to you to use its full benefits and enjoy it while you are in Orange County, CA. 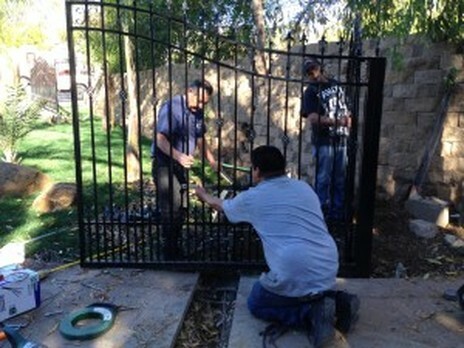 There is one more thing that is very important for you to understand and that is choosing a company who is the expert in driveway gate openers to get you one. Luckily, you are in good hands over here at Awesome Quality Garage Door and Gates, S-Corp, we will make sure you get the best garage door and gate repair possible. Now that we have thoroughly explained our importance you now need way to contact us, all you need to do is fill out an instant quote form or give us a call at this number (---)--- ---- and our operators will be with you shortly.